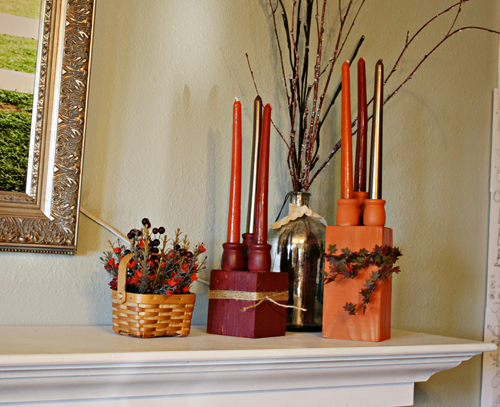 My friend Lisa came up with candle holders from scrap wood that are so cute! 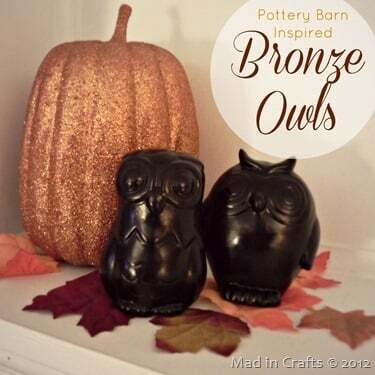 Paint a ceramic owl in bronze spray paint for a darling Pottery Barn look-a-like. Jessica was busy! She actually crafted a second Pottery Barn knock off for this 15 minute challenge. Need a simple storage solution for small items? This one is for you! 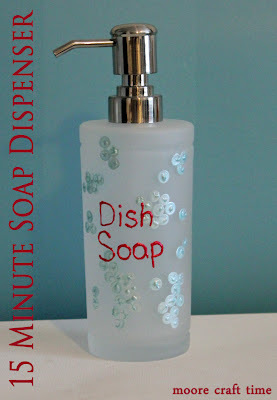 Decorate your soap dispenser in under 15 minutes. Today I shared how to turn your vintage buttons into a fun sign. As a bonus, if you click over you will find a link to those Baker’s Twine Pumpkins as well! 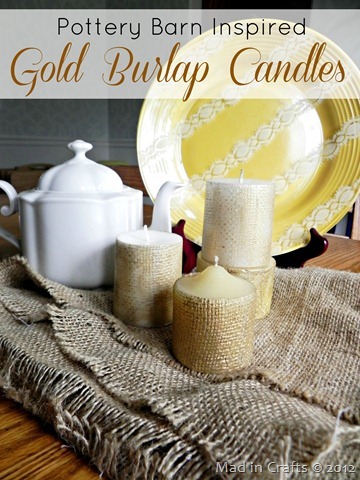 And the feature from our linky party today…. 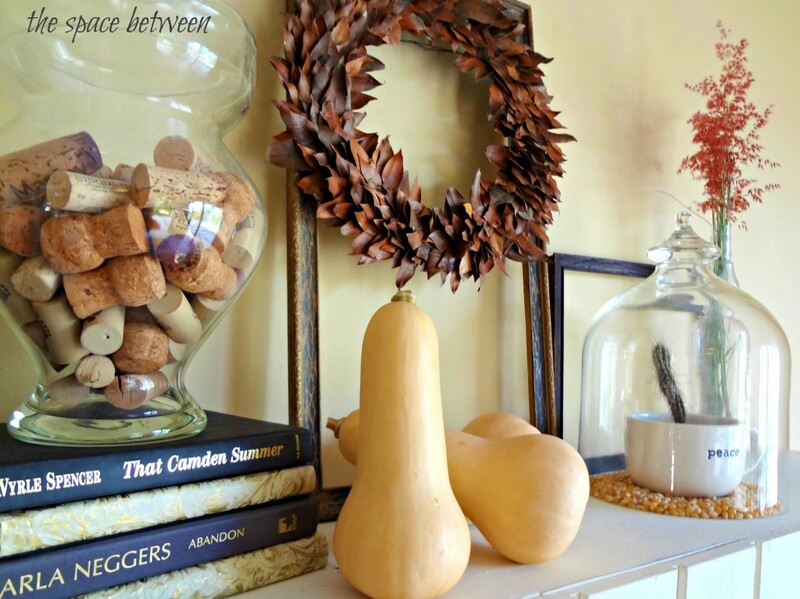 I am a sucker for fall decor. I love this wreath and the fact that it can be made in under 15 minutes. 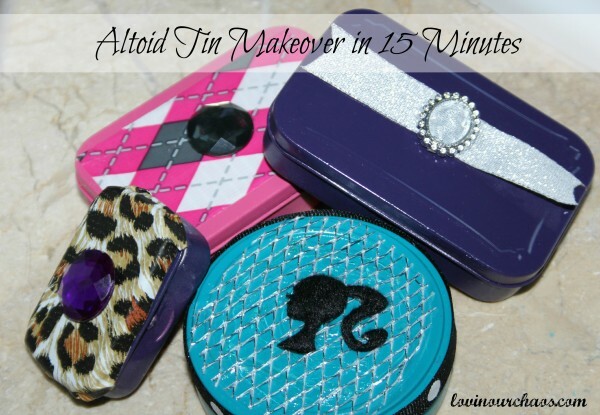 Come back tomorrow as we continue on with even more crafts that can be completed in 15 minutes or less!